Here’s how the city can go beyond the mayor’s proposed scooter regulations to ensure equity and safety across communities. 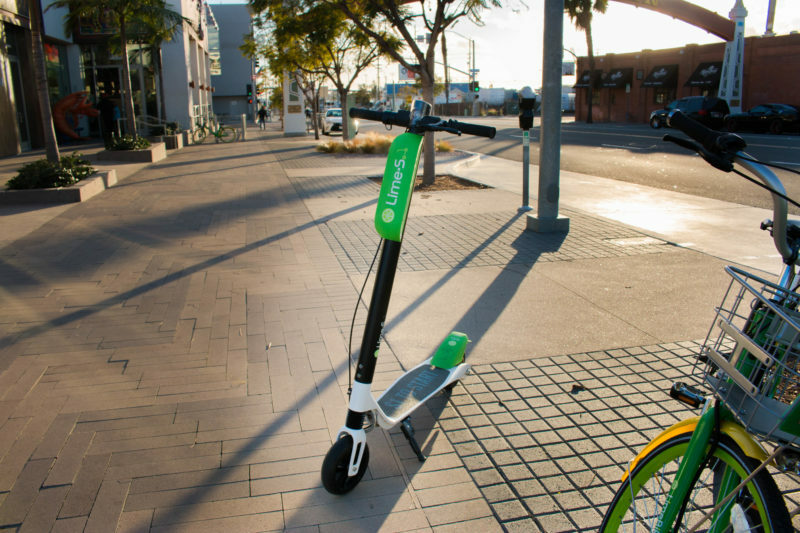 Since dockless bikes and electric scooters, now referred to as micro-mobility solutions, began arriving in San Diego in February, my office has received more than 200 complaints. These messages have focused primarily on scooters parked in the public right of way, riders running into pedestrians on sidewalks and scooters thrown into areas where they don’t belong, such as beach cliffs and private property. One of my constituents emailed me in August to say she had been struck from behind outside her office building downtown, and suffered rib, arm and knee injuries. The rider, she said, had no driver’s license and no insurance, and she was left with thousands of dollars in hospital bills. The time for responsible regulation is long overdue. These companies profit by using our public streets and our sidewalks, which is illegal. Before I was elected to the City Council in 2016, I was a high-tech entrepreneur, and I can appreciate that these companies have developed a brilliant business model and have raised hundreds of millions of dollars. I want these innovative micro-mobility solutions to flourish. They have the potential to address first and last mile transit issues, and to help the city plan necessary infrastructure and meet its Climate Action Plan goals. Responsible regulation should address data-sharing (currently, we don’t even know how many scooters are on our streets at any given time and where they travel) as well as education, infrastructure, public safety and equity (to ensure communities that can benefit the most from these affordable transit options are appropriately served). While San Diego has been asleep at the handle bars, other cities like Portland and Santa Monica have issued requests for proposals that include a fee structure, operational standards, data-sharing and insurance requirements. In June, my office presented an informational item to the Budget and Government Efficiency Committee on approaches taken by other cities. Following the committee meeting, I formed a working group with Councilwoman Georgette Gomez. The participants included business, environmental and transit leaders as well as the bike and scooter companies. At the working group’s most recent meeting, my office presented a comprehensive framework that received general approval. I thank the mayor for finally beginning to address this important issue. But I think the city needs to go further, and I am recommending the following. The mayor’s proposal mentions that it will collect fees, but fails to mention how much the city will be collecting and what these fees will be used for. Fees should be used to fund creative educational campaigns and to pay for appropriate infrastructure. This required analysis should be brought through the City Council’s Budget and Government Efficiency Committee. Data should be shared weekly as opposed to monthly, as proposed by the mayor’s framework. I have worked to gain the commitment of the UCSD Halıcıoğlu Data Science Institute to act as a third-party aggregator of micro-mobility data and to provide comprehensive analyses at no cost to the city. A similar partnership has been implemented by Seattle and the University of Washington. The mayor’s proposal makes no mention of operational and maintenance requirements, including removal and customer service. At our working group, companies claimed that they would be able to submit detailed maintenance and operation plans, which would identify hours of operation, pricing plans, helmet distribution strategies, etc. The mayor’s plan is silent on equity requirements. A complete and thoughtfully formed framework must ensure micro-mobility options are accessible to all communities of concern. This includes flexible and alternative payment plans and minimum fleet requirements in equity focus areas. Education initiatives should go beyond in-app notifications of laws and warnings on the physical vehicle. The city should work with providers to strategize on educational campaigns regarding safe riding and responsible parking. What’s clear is that if the city fails to pass responsible regulations, these micro-mobility options are not only going to crash into people, they are going to continue to crash into our city, leaving more than a few bruises behind in its path. Barbara Bry is the San Diego City Council member representing District 1. Correction: An earlier version of this piece improperly posted under City Councilwoman Lorie Zapf’s byline. Barbara Bry is the councilwoman representing San Diego City Council District 1.